Lindsay Lou & The Flatbellys’ upbeat Dobro-meister from Grand Rapids releases a new solo recording this weekend and mounts a mini-tour with Bluegrass Bonanza. Listen to a song from his latest project. From the sidewalk outside a nondescript Eastown apartment building, all the doors look the same. They’re distinguished only by house numbers etched at the top of the frame. But on the corner of the building, there’s a door with a concert poster pinned up proudly in the center. It’s an elaborate piece. The outline of a bird is conjoined with a mountain peak as the centerpiece, while intricate illustrations draw the eye along every inch of the design. The poster disappears when the door opens inward. 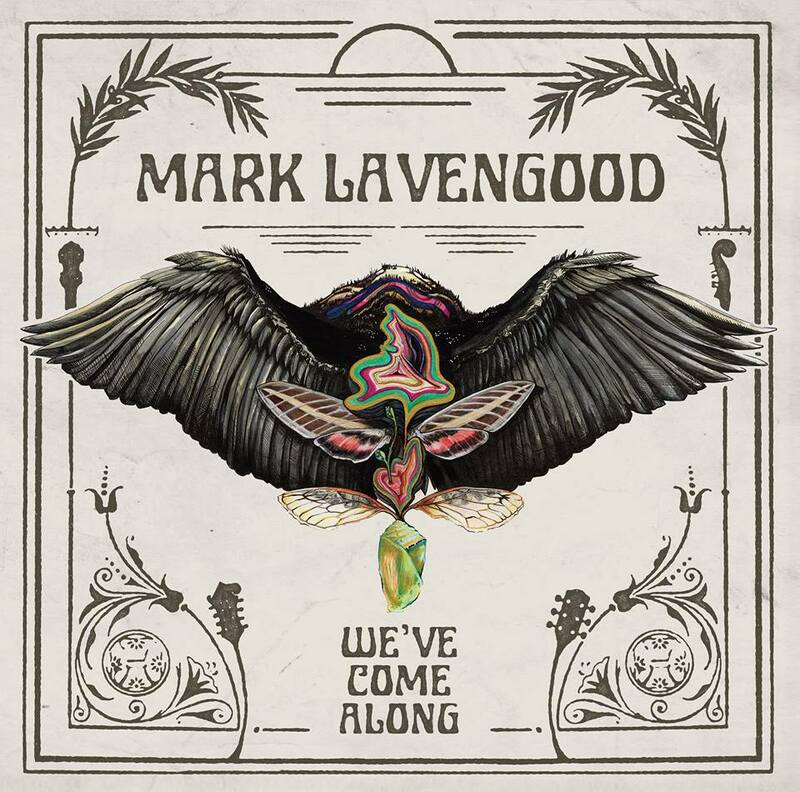 Mark Lavengood emerges through the entryway with a brimming smile, arms stretched wide for an embrace. 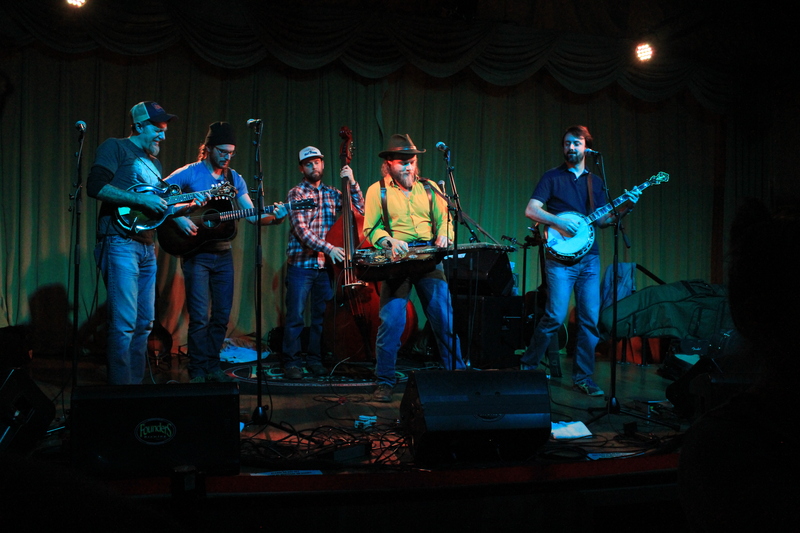 It’s been a busy year for Lavengood – extensive tour dates with popular Michigan-bred bluegrass group Lindsay Lou & the Flatbellys, the recording of a new solo album and fatherhood have kept the songwriter’s hands more than full. “With the Flatbellys, we’re a team and we have an agent and other support systems,” says Lavengood, who’s affectionally known as “Huggy Bear” due to his penchant for wrapping his arms around everyone he sees or meets – and that means, everyone. Tickets for the Grand Rapids show are $12 in advance and $15 day of the show. Doors open at 8 p.m. Get tickets and details online at pyramidschemebar.com. 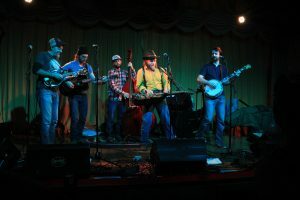 As he leads the way into his music room – a small space inhabited by an assortment of instruments (guitar, Dobro, banjo, steel guitar), he takes a sip from a ceramic mug and talks about the new album. “It’s got a lot of influences. The birth of (his son) Louis Allen Lavengood, living anew and that good ole’ bluegrass sound,” he says, while also giving a nod to his former band Winter/Sessions. 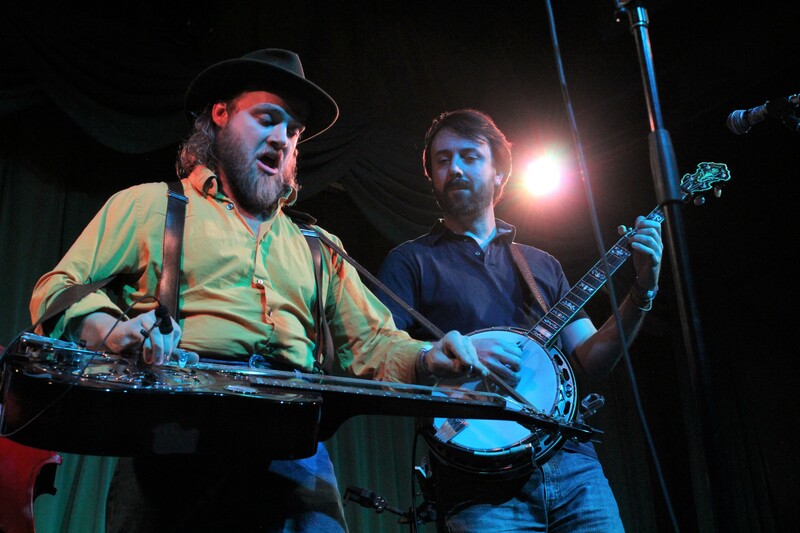 The album takes a beautiful snapshot of traditional and modern Americana music. From the timeless conventions of bluegrass, to modern foot-stomping folk numbers – even an incredibly fitting bluegrass cover of Springstein’s “Hungry Heart” – the record is a carefully crafted one, and at its core, a labor of love. “I just have so many songs floating around,” he says, adding that there is already material in the works for his next solo album. In a frenzy, Lavengood jumps from his seat and reaches for a guitar. 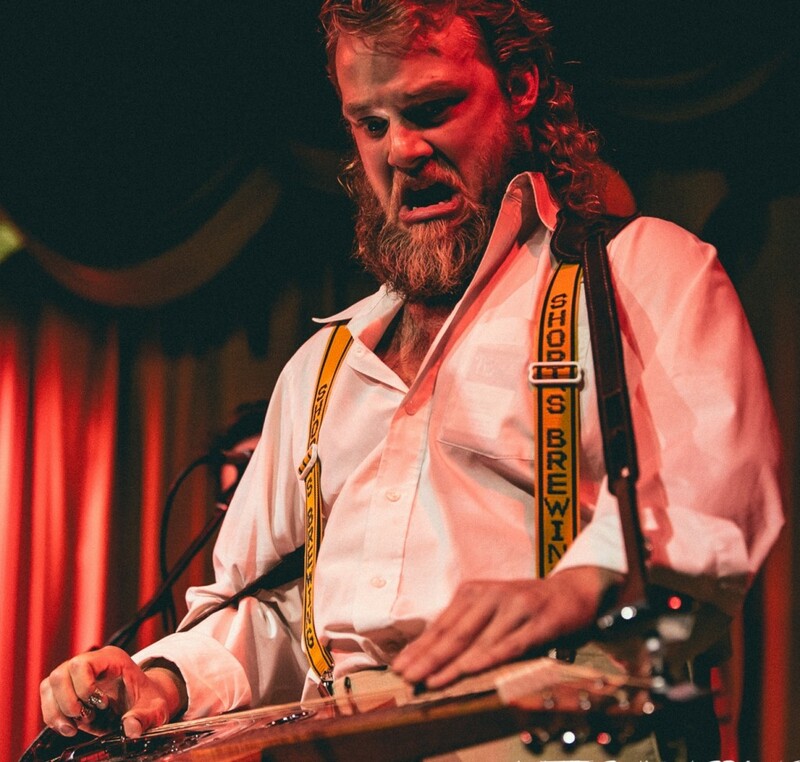 His fingers dance around the neck with a slide as he belts out gravely, backwoods vocals for a new song he’s working on. In a profession that requires late nights, constant travel and weeks (or even months) away from home, the responsibilities of parenthood can seem daunting for career musicians. But they remain at the forefront of importance for Lavengood. “It’s really made me prioritize all the many things I want to be doing now,” he says of being a parent. “It’s made me reconsider touring and how I approach it, as I want to be spending as much time as possible with Louie. This summer, Lavengood plans to continue paralleling his solo efforts with The Flatbellys’ schedule. 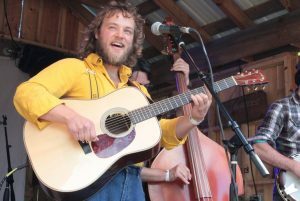 On the docket are a number of festivals, including Grey Fox Bluegrass Festival and Redwing Roots Music Festival, a bevy of solo release shows including The Ark and Bell’s Brewery and a teaching workshop at Targhee Music Camp in Alta, Wyo. And Lavengood is eager for all of them. “I just love hugging people. It’s good for the soul. I think the world would be a much better place if we just hugged more often,” Lavengood says, as his eyes light up and his arms part almost involuntarily, preparing for a farewell bear hug. 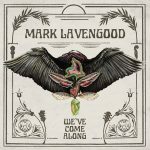 Get more information about Lavengood and his upcoming performance schedule at marklavengood.com.